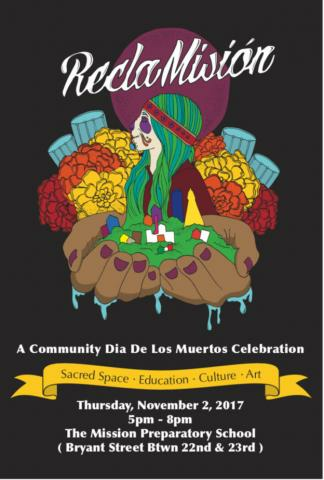 This year for our annual Día de los Muertos celebration, we will be joining other Calle 24 artists, organizations and our community's youth to celebrate by sharing live performance & interactive art-making for all ages. Galería de la Raza will be hosting a live screen printing booth. Come by, learn about screen printing and pull a print! We honor and remember our ancestors with this practice. Please note: we will not be at the main Galería location. This event takes place at Mission Preparatory School on Bryant Street.